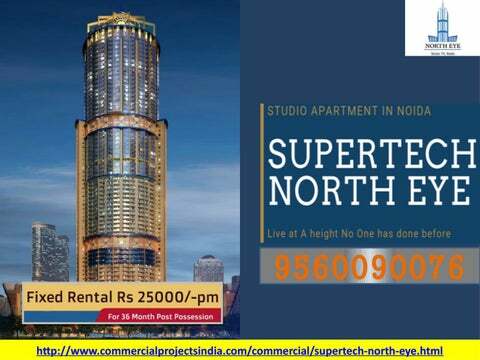 SUPERTECH NORTH EYE Supertech North Eye is a 66-storey tower offering 1BHK/2BHK/3BHK/ 4BHK ultra-luxury apartments fulfilling the dreams of Buyers and Investors. Located in a pleasant ambiance at Sector 74 Noida, Supertech North Eye is a majestic luxurious residential space designed and crafted under the expertise of the well known brand B. E. Billimoria. With an ideal location, Supertech North Eye Noida is well connected by a strong network of roads to the significant places like Delhi, Ghaziabad, Gurugram, Faridabad and Greater Noida. Standing high at 225 meters, it gives you a picturesque view of Noida from the top. Multiple amenities at Supertech North Eye Noida have, gymnasium, spa, fitness centre, infinity pool, indoor facilities that include lounge to relax and read in addition to indoor games. The Golf lovers can enjoy their free time playing the game at the nearby Golf Course. 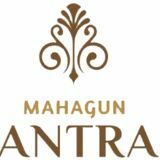 there are several exclusive facilities like separate cigar rooms, observatory with art gallery and coffee lounge.